Made of soft, quick-drying fabric, this Geronimo 1901p1 Yacht swim short is equipped with mesh lined side slit pockets plus one on back right side with metal drain hole, inner drawstrings in the gathered elastic waist to keep it all in place as you swim. 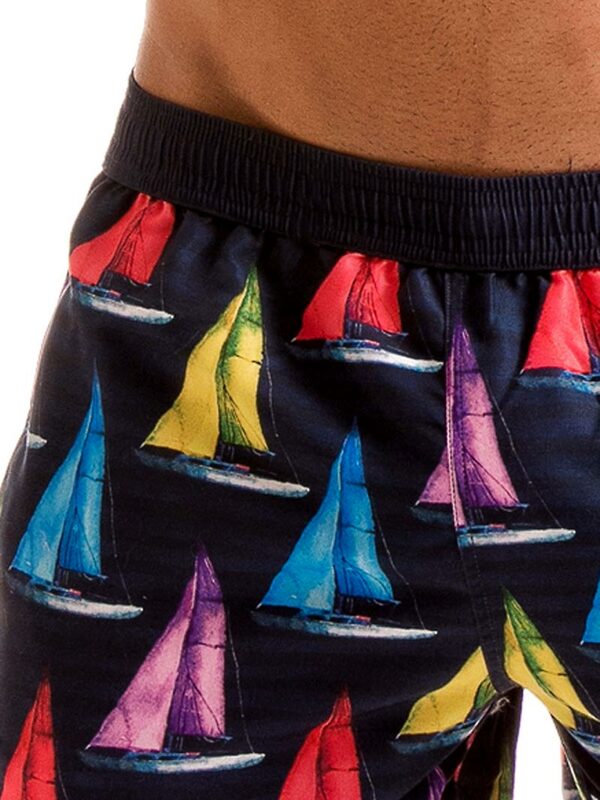 This swim short features a brightly colored graphic print and is fully lined. The swim short will make a splash and turn heads at the pool or beach.